Safety enclosure for 460 trampoline. 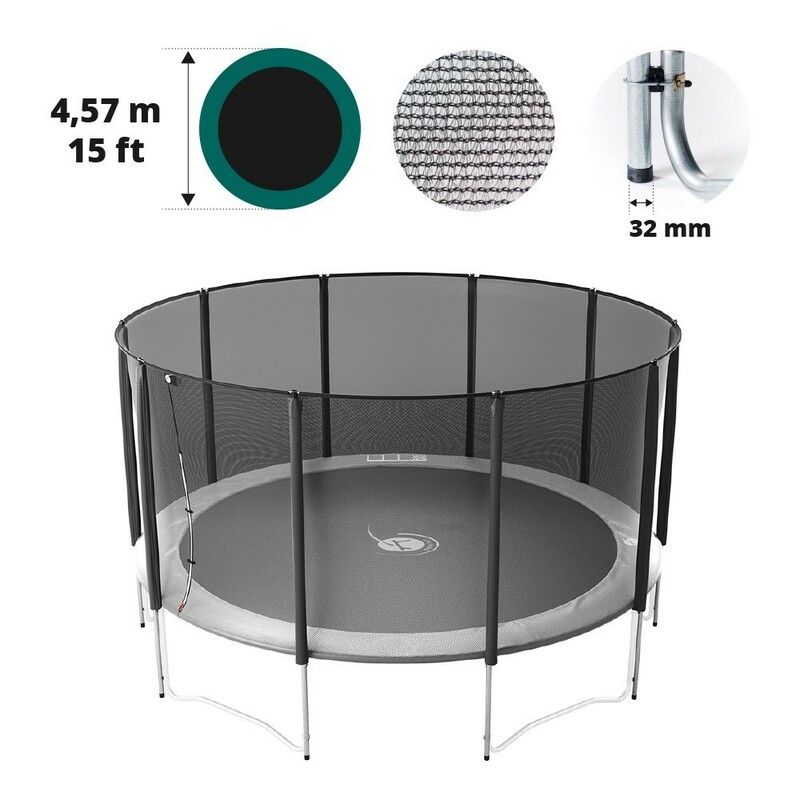 Safety enclosure for your round leisure trampoline with a 457cm diameter. 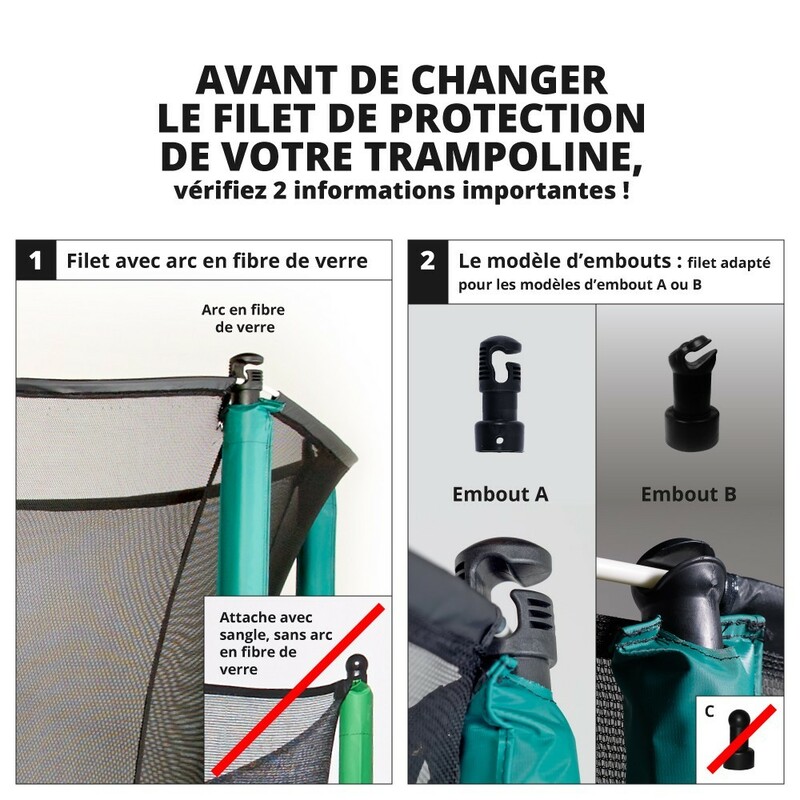 This trampoline safety enclosure is designed for round trampolines with a 4.57m diameter equipped with 5 feet, even those not from France Trampoline. 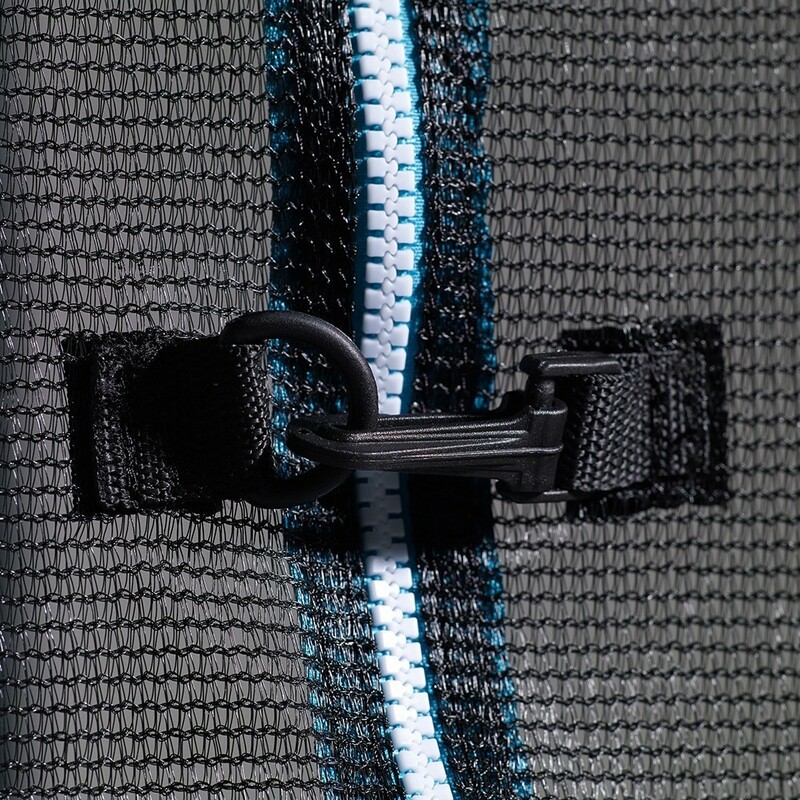 - The opening system uses a vertical zip found on the inside and the outside to allow for an easy access to the trampoline that also guarantees the jumper's safety thanks to its lock system. 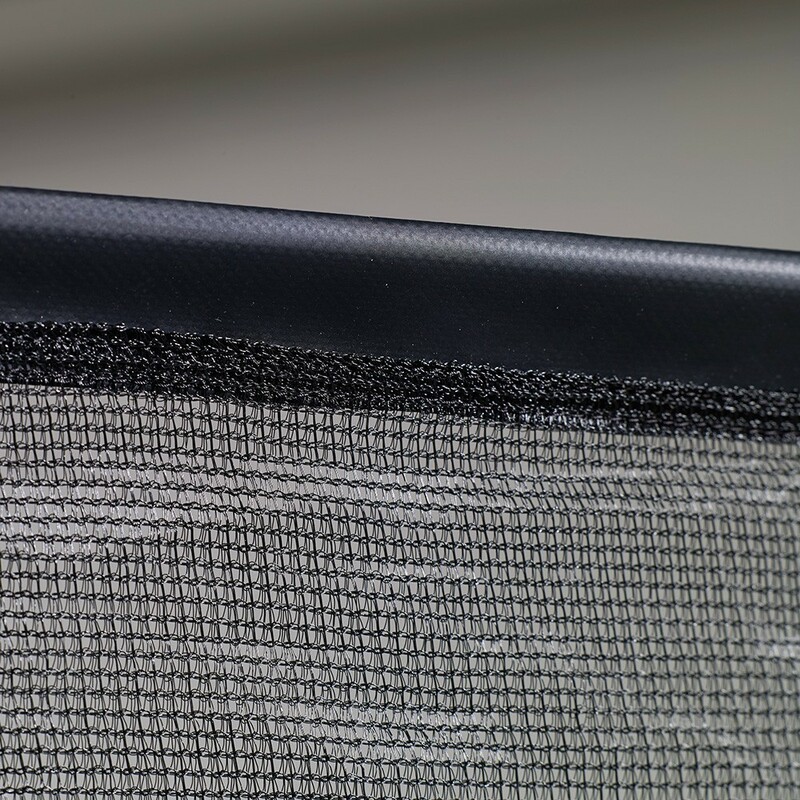 - Its fine mesh polyester allows for a solid safety enclosure that protects jumpers and prevents small children from catching their fingers in the netting? 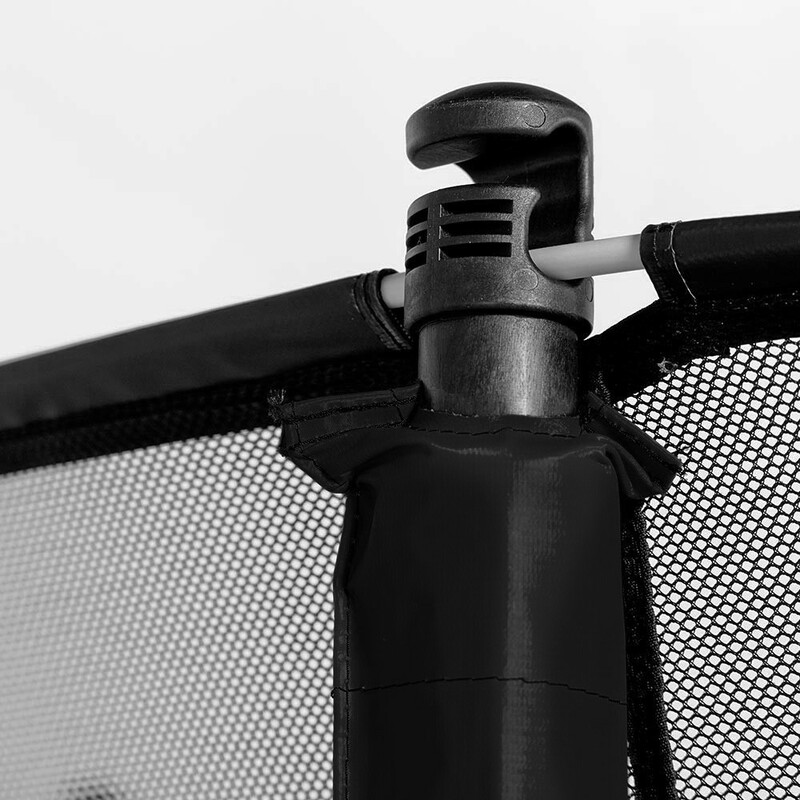 - The fixing system for this safety enclosure is very simple, you hook it under the frame pad which leaves no empty spaces between the net and the frame pad. - This model is sold with 10 32mm wide posts that go straight to the ground and are secured to the trampoline's framework. This system permits excellent stability to the whole of the trampoline. 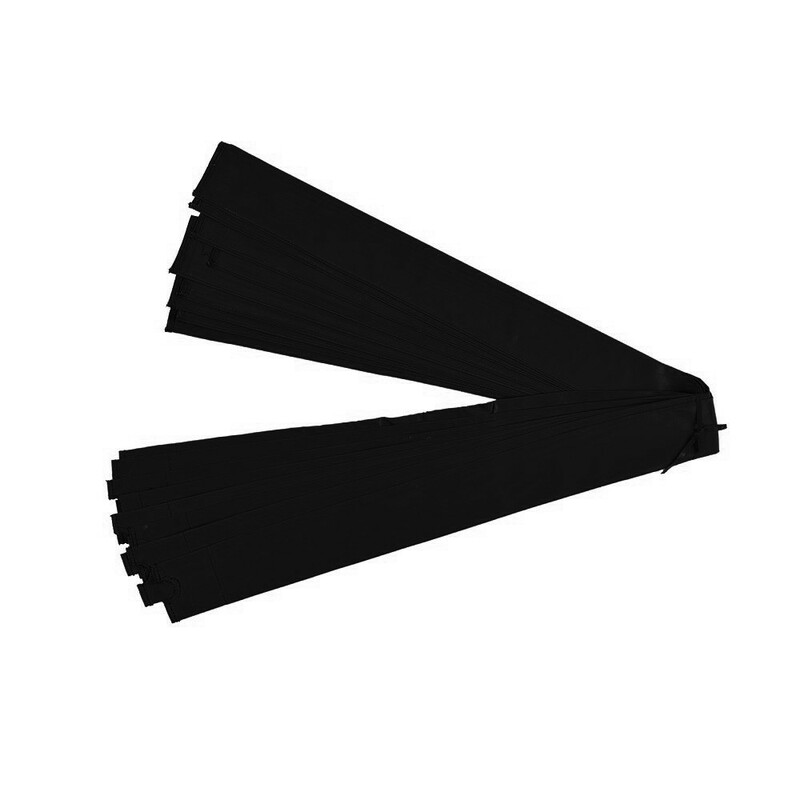 - The posts are covered in foam to cushion any shocks, which is recovered in a PVC sleeve that is UV resistant. Everything is designed to prevent injuries. 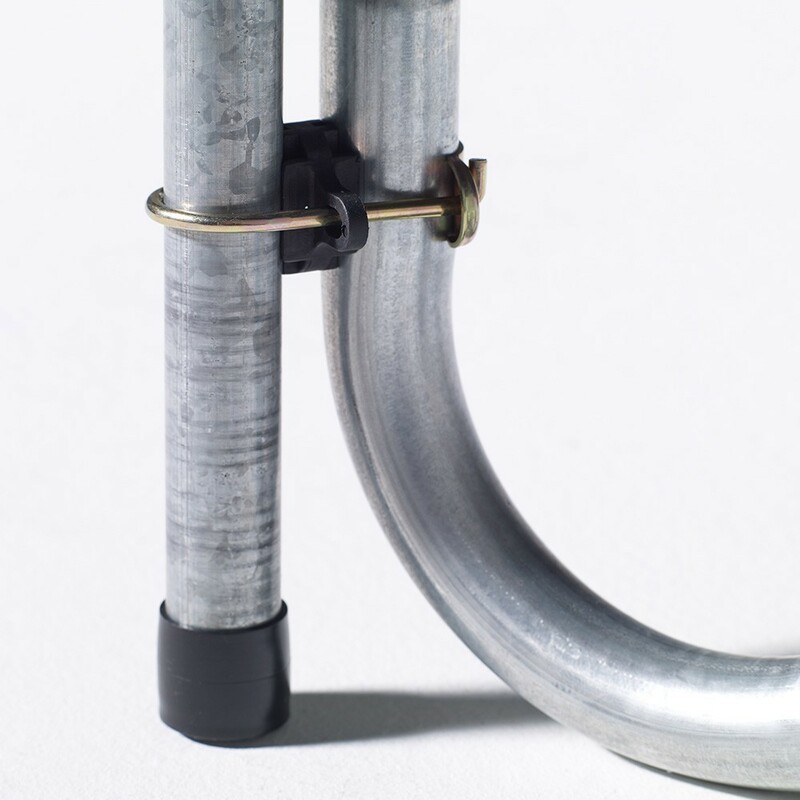 - The posts are made from galvanised steel making them resistant to corrosion and various outdoor aggressions. They can stay outdoors all year round. - The fiberglass rods are found at the top of the safety enclosure, and allow for an optimal tension and excellent resistance to impacts. After years of use you safety enclosure will remain tensioned! 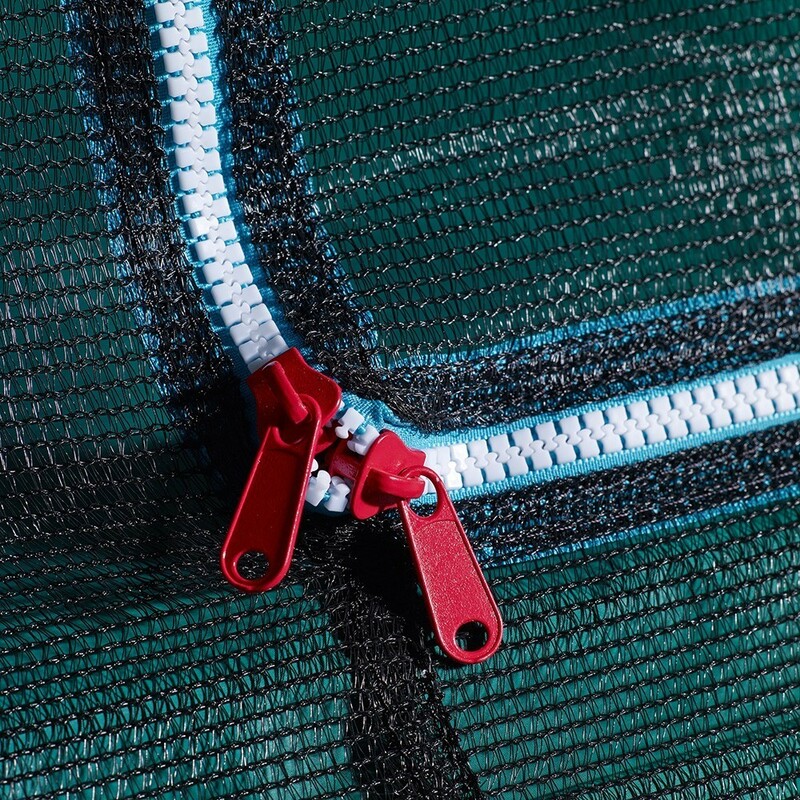 This safety enclosure is suitable for all trampoline models that measure exactly 4.57m wide. It originally equips the Jump'460 bought after April 2016.